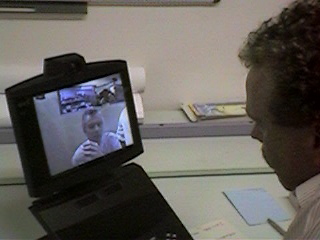 In 1995 – the early days of the World Wide Web – David Watts of Colchester Sixth Form College and Malcolm Moss of St Benedict’s College Colchester crossed the Channel with the aim of establishing links with educational institutions in as wide a range of states as possible.They hoped to exploit the potential of the new communication technology. A tool to support learning which ignored geographical borders. A nucleus of schools quickly built up in the Netherlands, France, Belgium Sweden Germany and Italy. Over the years the partnership has evolved yet; one of the founder members remains an energetic driving force – Hans Venderbos. Colchester’s role was an important factor in them being granted the Queen’s Award for Excellence in Further and Higher Education. Representatives attended a banquet in the Guildhall London followed the next day with conferment by the Queen and the Duke of Edinburgh.In 2008 the partners decided on a radical review of their partnership. The early aspirations were being overtaken by the possibilities that rapidly developing new technologies offered.How we had educated young people in the past was being challenged. Students now had the tools to research and create new knowledge themselves. The partnership wanted their approach to encompass that and to commit to a longer term association. Malcolm Moss was invited to return as a ‘critical friend’ to support a new vision. The concept of a virtual school was established, funded by Comenius in two year stages. 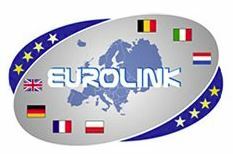 Eurolink Virtual International School was born. 2015 will be the 20th anniversary of the partnership, and the end of ELvis 3.0 funding. The partners have applied for a series of Erasmus+KA1 and KA2 funded projects. More information on these can be found using the menu tabs above. It was tougher in the ‘old’ days! In the first joint meeting in Aachen we trialled video conferencing. The kit was loaned by British Telecom and consisted of two very large, heavy suitcases. It took two hours to set up and had a data rate measured in Kilobits.